There are many ways to remove Glitter because we all know that Glitter can go everywhere and be difficult to come off. You might be taking off your make up thinking it is all gone but you never know there could be a sparkle near your eye! From your eyelids to your cheeks, fingernails and lips it can be a real pain to remove. However, there is lucky news. Here is a guide on how to remove remaining glitter. If you follow these steps then you should not have a problem in the future. You use the tape to pluck it off. It is pretty much impossible to tap on glitter in one specific spot, your sparkly eyes have probably left with you equally sparkly cheeks. Before you reach for the soap, we have a solution that won’t ruin the rest of your make-up: wrap some tacky sellotape around your finger and deftly pluck up the fall-out. 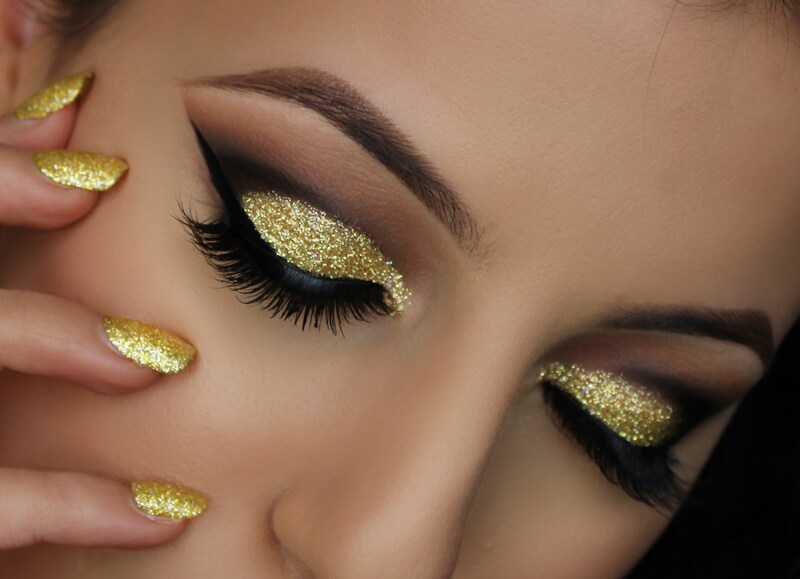 Like all stubborn make-up, glitter is best removed with some oil and a cotton pad. A cleansing oil, baby oil or a basic olive oil will do. Soak the cotton pad with the oil and gently glide it over your skin in a sweeping gesture, as opposed to rubbing which will simply move the glitter around. Once you’ve used the oil, cleanse your face as you normally would, and go in with a muslin cloth to mop up every scrap of sparkle. So you tried to put glitter on your hair and now you cannot get rid of it. Instead of picking it out of your scalp spray some kitchen roll with hairspray until its tacky and blot it will lift the flecks without pulling at the hairs on your head. Then Oil becomes a rescue again!. You dowse your hair in any basic oil you have and let it sink into it for around 1o minutes and then when the time is up shampoo your hair and the sparkle will disappear! Use a layer of PVA Glue mixed with water as a base coat. Then paint the glitter on top. Once you’re ready to remove it, peel the glue away and every scrap of sparkle will lift off the bed in one satisfying gesture. It is basically using PVA glue as a polish base. Un-stick glitter by soaking a cotton ball in acetone remover, setting it onto your nailbed, and ‘sealing’ it by wrapping tin foil over the top. Let it sit for around five minutes, slide off to reveal a fresh, sparkle-free tip, then repeat on each of your nails.